Any ideas to make it more realistic? Just a simple smoke simulation. 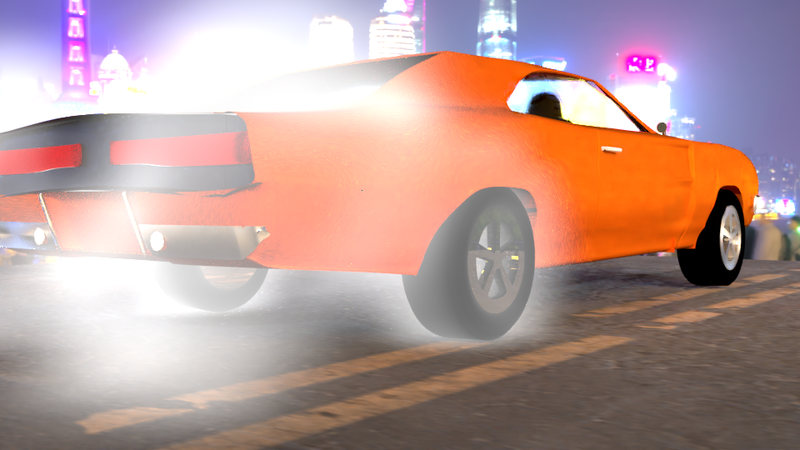 Also, do you think that I should put more detail into the car? Are you using Cycles or Blender Render? The smoke looks very light. Also, the lights could be emitting colour!